Home Reading…Give It a Shot! encourage parents to share in their children’s reading. The Reading…Give it a Shot! program was created working with founding partner, the Calgary Flames. Reading is viewed as the best way for children to develop skills that will benefit them for a lifetime. By encouraging reading, this program opens the minds of elementary school students to a world of knowledge and imagination. Reading is a gift, and Reading…Give it a Shot! helps students bring this gift to life. 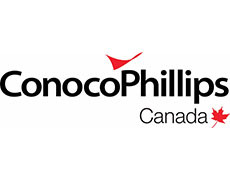 Thanks to the Calgary Flames, the Calgary Flames Foundation, ConocoPhillips Canada, One Transport Group, and DATA Communications Management, TEPF continues to encourage students to discover the joy and benefit of reading. 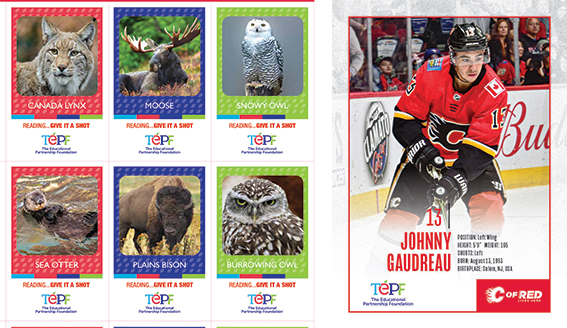 NEW: We are now offering, in partnership with Canadian Geographic, Canadian Wildlife trading cards as well as the Calgary Flames trading cards. Calgary Flames trading cards are available to schools in Southern Alberta, from Red Deer south only. Registrations are accepted throughout the year from schools across Alberta. Note: In the fall Calgary Flames trading cards are from the previous year’s roster. Students can earn Calgary Flames hockey collector cards or Canadian Wildlife collector cards based on the amount of minutes they spend reading. Teachers have the flexibility to determine the best literacy strategy for their classroom. The goal for students is to collect the entire set of collector cards. Calgary area schools that have 100% of students participating in Reading…Give It A Shot! 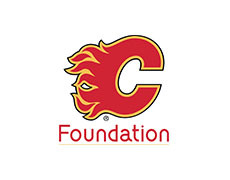 are eligible to receive additional recognition, thanks to the generous support of the Calgary Flames Foundation. Every year a Calgary Flames player and Harvey the Hound visit two Calgary schools to meet the students and sign hockey cards! This year it could be yours. Interested in supporting Reading…Give it a Shot? Canadian Wildlife Cards, in partnership with Canadian Geographic, collector cards are available to schools across Alberta. The Calgary Flames players collector cards are available to schools from Red Deer south.